The recent $315-million acquisition of The Huffington Post and the $75-million or so spent on AOL’s (s aol) Patch.com hyper-local platform aren’t the only big bets that the media company is making According to a cover story in the latest issue of The Hollywood Reporter, the one-time web portal is also putting some big money down in Tinseltown, where CEO Tim Armstrong has been signing content deals with celebrities such as former supermodel Heidi Klum, singer Queen Latifah and the musical group The Jonas Brothers. In some ways, it appears AOL’s new “content farm” ambitions are designed in part to produce content that can be wrapped around big Hollywood brands. 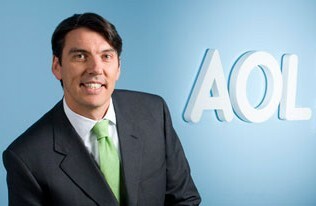 But can this strategy produce enough financial bang to make a difference to a fading giant like AOL? In the case of Klum and Latifah, the deals with AOL involve websites and content produced by the stars’ production companies, but AOL is going to be helping generate content — including web-based video shows — and promoting the sites through its network as well. According to The Hollywood Reporter, these types of deals involve AOL putting up between $1 million and $10 million per project (some of which comes from advertisers that the company lines up). According to Hollywood sources quoted by the magazine, those kinds of dollars look pretty good compared to what cable networks can offer. The first phase of the Internet was about access, and I believe AOL was the biggest player in that phase. Then the next phase has really been about the platform, so you’ve seen Apple, Google and Facebook there. But the phase after this is going to be more of the Hollywood phase, where it’s about content, creativity and really putting a human face on the Internet. In addition to using its content farm to generate material to wrap around these celebrity sites, AOL also used its own internal research to decide which celebrities to approach. According to The Hollywood Reporter piece, the company only took its “Planet Heidi” idea to the supermodel after its algorithmically-generated “quality score” showed that Klum was influential on topics like parenting, fashion and style — all of which appeal to the female demographic that Armstrong wants to focus AOL’s content on — and after Johnson & Johnson (s jnj) and Procter & Gamble (s pg) had signed on. The big question, of course, is whether this Hollywood strategy is going to produce enough revenue to make a difference for AOL, a company that is still in fairly precarious financial shape: in the final quarter of last year, for example, revenue sank by 26 percent and advertising revenue fell by almost 30 percent. As I’ve written before, AOL is like a train running down a track that is disintegrating rapidly underneath it. That track is the dial-up access business, which still produces gigantic amounts of revenue — close to 40 percent of the company’s total — but is declining at a rapid rate. What Armstrong is trying to do is to build new businesses that have the ability to generate similar kinds of revenue, which amounts to laying new tracks quickly enough that the train doesn’t go hurtling into an abyss. The launch of Patch was one such attempt, and the acquisition of The Huffington Post was another. The purchase of Arianna Huffington’s content-aggregation business is part of the same strategy that has taken AOL into the celebrity circus of Hollywood. One of the things the web giant has lacked on the content side is identifiable personalities, and that is clearly something the Huffington Post founder brings to the table. Huffington’s site started as a collection of blogs written by famous people from various walks of life who were drawn together by their friendships with Huffington herself, and celebrities continue to make use of the site as a personal blogging platform when they have a cause they want to push. Huffington, who is now in charge of all AOL’s editorial content, is also in charge of the Hollywood operation. All she has to do now is turn all those celebrity websites into cold hard cash for her new boss before AOL runs out of track. It’s like Time Warner all over again.